A combination of abrasive media and powerful vibratory action removes burrs, and cleans internal and external surfaces, and improves the surface roughness. 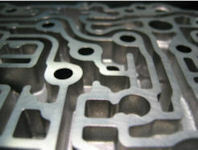 Abrasive media produces smooth surface and edge radii and burnish a wide variety of metal parts. Intricate internal passageways become smoother and cleaner than those accomplished with conventional finishing methods. Workpiece is clamped in place in a work chamber. 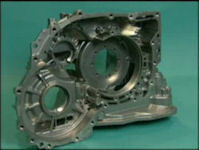 A flow of media and a liquid cleaning compound flow over and through the workpiece while the work chamber vibrates with a high frequency and an amplitude. These oscillations produce high energy burnishing and peening with peak accelerations higher than 30g. 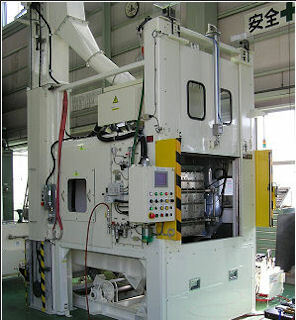 Multi fixture allows high production rate. Die cast parts. Removing sand from a casting. Process uses a combination of media and vibration table, which is the same as Cascade but ROSDEM provides space-saving installation. 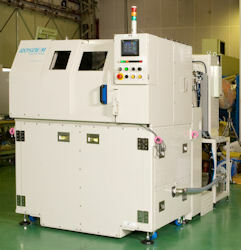 Suited for processing small parts with small burrs.